The UK’s Feed-in Tariffs were first introduced in the 2008 Energy Act. These are payments backed by the Government for the generation of low carbon, renewable electricity. Your electricity provider will pay you for every kilowatt hour of low carbon electricity that you generate. Generation tariff: a payment for every unit of electricity you generate from a low carbon source. (A unit of electricity is called a kilowatt hour or kWh.) The tariff rate varies depending on the type of technology being used and the size of the system. Export tariff: an additional payment for every unit of electricity you do not use but instead export directly to the National Grid (this will be done automatically for you). This tariff is set at 4.5p per kWh and is added onto the generation tariff for any electricity exported to the grid. Avoided import costs: this is the money you save by using the electricity you have generated, instead of buying (importing) it from the electricity company. You still get the generation tariff for this electricity as well. Although the FITs are established in law, rather than coming from the government, the tariffs are actually paid by the energy suppliers. The suppliers pass on the cost of the Feed-In Tariffs scheme to all their electricity customers. You can also appoint an agent to collect your tariffs for you. 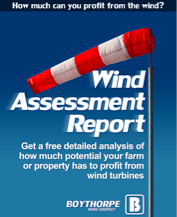 This is especially useful if you hire a third party company to oversee the installation and management of your renewable energy systems. The Feed In Tariffs are fixed for 20 years and once you start at a given tariff, it is guaranteed for the full period and is index linked. Article posted on February 9, 2013 , by Ed.